How do more bars and party terraces compliment or benefit the historic Parramore neighborhood? That’s exactly what Mayor Buddy Dyer and the City want to build in the heart of Parramore using millions in state funding, in addition to more luxury suites and a roof, based on the Orlando City Soccer stadium application to the Florida Department of Economic Opportunity. If Orlando is awarded the state’s sales tax rebate of $2 million/year for 30 years, the City plans to issue more bonds in order to raise capital needed for the stadium construction. The application details how the bond will be “highly leveraged” in order “to maximize the bond proceed issue.” (Yes, more “highly leveraged” bonds are coming if the state awards Dyer the money). The City anticipates the bond would generate $30 million to allow the construction of needed roof structures, more luxury suites as well as bars and party terraces. The team wants one party terrace to “provide a view of Central Avenue” that will feature a Supporters’ Pub for fans to gather and drink. And the team intends for its fans to drink heavily as it points out on the Department of Economic Opportunity application the Supporters’ Pub is “expected to generate a significant increase” in concession sales. Then the soccer team wants to add party terraces in the northwest, northeast and southwest corners of the stadium. All these party terraces will of course, “generate a significant increase” in concession sales according to the application. But how exactly will the additional party terraces and more drinking and noise help the Parramore neighborhood? How will this impact Faith Deliverance Temple which is now literally right next door to the stadium? What about the other churches, child daycares and residents just blocks away? There are also already concerns about the crime around the planned soccer stadium site. The application for state funds also calls for additional luxury suites to be added to the stadium, including a “Scoreboard Suite and Boardroom,” which would actually be built into the scoreboard structure. The team hopes to add another 19 “Sky” suites above the west-side grandstand, “providing a view of the field and of the downtown Orlando skyline.” Per agreements with the City of Orlando, the soccer team gets to keep 100% of all revenues from luxury suites and premium seating in the new soccer stadium. Perhaps the most important addition to construction considering Florida weather and the timing of the MLS schedule, the City and team hope to use some of the millions to build a better roof structure. The teams, and surely all the fans in attendance, want a roof over the north-end supporters stand to offer some shade from sun and cover from rain. The team then wants to also extend the roof all the way to the front row over the east and west stands. We already know that local Parramore culture and history will not make the project budget as just before the holidays, the public learned that a task force being led by City Commissioner Regina Hill to help bring those elements into the stadium failed to provide any input in time. Even if Hill’s task force provides suggestions at this point, officials claim it will be too late to incorporate into the project budget. Based on the same application with the state of Florida, the public learned only 60 permanent jobs will be created by the MLS stadium project. Just last week, a UCF economist explained most sports venues are a bad investment for the state. 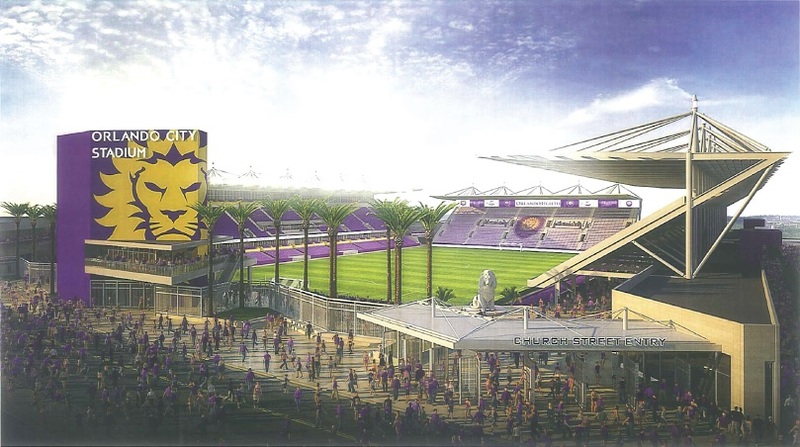 To read the entire “Use of State Funds” section of the Orlando City soccer application to the Florida Department of Economic Opportunity, click here. 4 Responses to "MLS Stadium Wants Millions in State Funds for Party Terraces, Suites & a Roof"
I wonder how Downtown bars and restaurants feel about the stadium wanting fans to come early and stay late and spend all their money within the stadium for the benefit of the Stadium owners. That is uniquely the Disney model where you lure people to your event and exclude any benefit to anyone else. Doesn’t that defeat the purpose of the stadium being an economic engine for growth in the “community”. The Stadium and its private owners appear to want to keep all the economic benefits to themselves. Also, if this is a “rebate” of state sales tax money how is that an investment that will produce a “return” to the State. 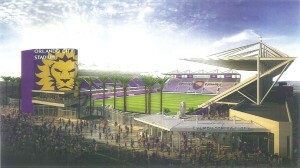 It seems the State would be giving away to Orlando whatever increase in sales tax revenue the Stadium might bring in . Seems zero sum to me but maybe someone in the City could explain how this is an “investment” with a “return”. 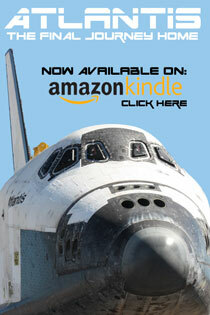 I should have read the links. Here’s UCF Economist Soskin on venue “returns”. “There isn’t an economist, legitimate economist, in the world that would say there is a dollar benefit from such sports facilities,” said Soskin. That article should be sent to each and every council rubber stamp who showed up gleefully to turn over a shovel full of dirt for the soccer venue with a return envelope asking for an explanation of their support and continued reliance on sports venues to improve the economic condition of this area. You make more great points here, Kelly. Another big reason stadiums like this MLS one will only be a further drain the real local economy. Just think about the recent Citrus Bowl, and how the City of Orlando bused people in so they would park at the Geico garage instead of paying to park in the neighborhood community and provide a little money for the residents there. Also, back in October 2013 when the soccer stadium issue was being pushed through originally, I wrote about how every academic report showed stadium gambits make no economic sense (here’s the link: http://ilikemike.me/every-academic-report-orlandos-latest-stadium-gambit-makes-no-economic-sense/). In fact, even Visit Orlando’s own analysis for Orange County about the soccer stadium said there is no evidence of incremental visitation (increased tourism) or any other claim being made by Orlando (here’s the Visit Orlando analysis: http://ilikemike.me/details-from-county-public-records-expose-misrepresentations-by-jacobs-soccer-team/. The UCF professor is just the latest proof the economic argument being made by local elected officials is garbage.